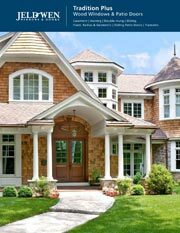 When looking for gorgeous door and window options for your home, there aren't many companies that offer the high quality and large number of choices as Jeld Wen. Anyone would love to have Jeld Wen Windows And Doors installed in their residence. 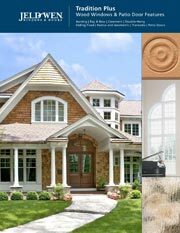 Whether you want patio, interior or exterior doors, or you are in search of windows, they have numerous styles in stock. You can choose between different materials such as aluminum, vinyl, and wood for your Replacement Windows Glendale. However, if you do end up getting replacements for your windows, you should know that it is necessary to get a permit first if you are in Glendale, especially. Other cities in the area may have a similar procedure that you must follow, so be sure to look into it. You can purchase products from Jeld Wen that meet Energy Star standards. You know that anything that has the Energy Star label on it has been tested thoroughly to determine its performance levels. They also have gotten third-party certification after passing tests. Depending on the climate in which you live, your windows and doors can be custom made to fit your home's needs. When you go to shop for Replacement Windows Granada Hills, keep these Energy Star products in mind as a great way to save on your energy bills. It really will make a big difference, as you can potentially save hundreds of dollars every year. 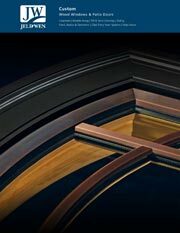 There are so many attractive and durable door and window options at Jeld Wen. 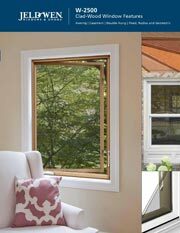 The windows alone come in bay, garden, double-hung, sliding, awning, casement and several other types. Each of them are beautiful and have their own benefits. If you are overwhelmed by your options, you can speak to an Intex specialist and ask what would best suit your home. You may not find just what you have in mind, and if that's the case you can talk to us about designing a customization. Rely on the professionals at Intex for Jeld Wen Windows And Doors, as well as products from other brands.